Sometimes it is difficult to find a unique and meaningful gift for someone as special as your mom. 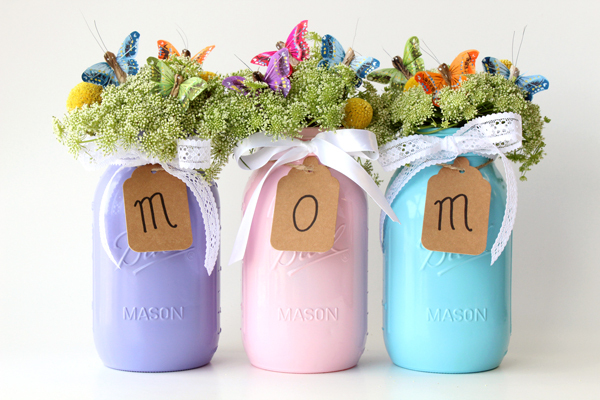 Don’t worry, these super easy and really cute Mother’s Day DIY mason jar vases are a great gift to give mom on the big day. With just a few supplies, this personalized gift is so simple to make that even the kids can get involved too! 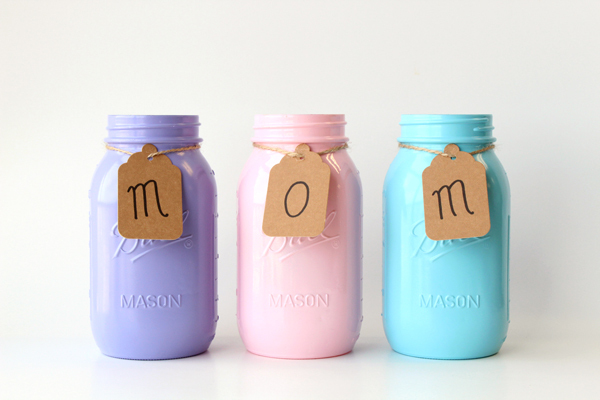 Next, follow these simple steps to make these adorable DIY mason jar vases that can be given as gifts and re-purposed as centerpieces or decor for Mother’s Day! 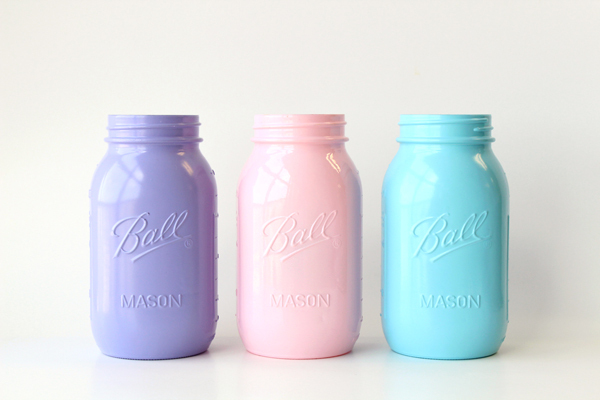 1) Take the lids off of the mason jars, paint the jars with acrylic or spray paint, and let dry. 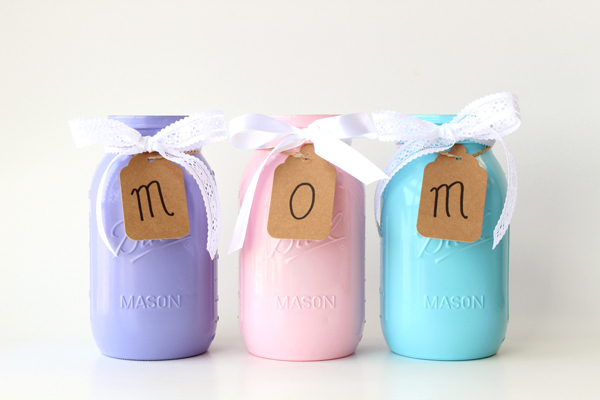 2) Use Sharpie to spell out MOM on the three gift tags (one letter on each tag). Remove pre-strung string from gift tags and tie each tag to the top of a jar using jute twine. 3) Use ribbon to tie a bow around the top of each jar, covering the jute but keeping the gift tag visible. 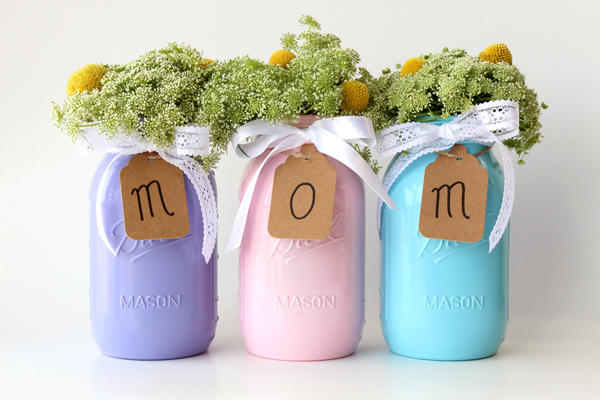 4) Fill each jar with water and mom’s favorite flowers. 5) Use the butterflies to embellish the flowers. Most butterflies come pre-attached to a wire, which makes them easy to stick in the floral arrangement. 6) Surprise mom with your beautiful creation and enjoy!